You’re on Michael Jordan Quotes — see Basketball Link menu at bottom of page. Considered the greatest basketball player ever, Jordan played the game with style and an intensity to win that was unmatched. To gain a better understanding of this star athlete, take a look at some of his insights through these quotes. I have missed more than 9,000 shots in my career. I have lost almost 300 games. 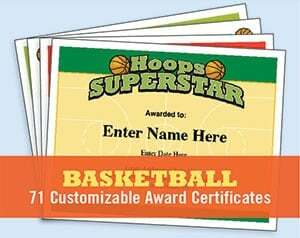 On 26 occasions I have been entrusted to take the game winning shot, and missed. And I have failed over and over and over again in my life. And that is why I succeed. Failure is acceptable, but not trying is a whole different ball park. I mean we all fly. Once you leave the ground, you fly. Some people fly longer than others. Learning’s a gift, even when pain is your teacher. Check out how a Harlem Globetrotter taught a double-amputee how to shoot. Live the moment for the moment. Every time I feel tired while I am exercising and training, I close my eyes to see that picture, to see that list with my name. This usually motivates me to work again. There are plenty of teams in every sport that have great players and never win titles. Most of the time, those players aren’t willing to sacrifice for the greater good of the team. The funny thing is, in the end, their unwillingness to sacrifice only makes individual goals more difficult to achieve. One thing I believe to the fullest is that if you think and achieve as a team, the individual accolades will take care of themselves. Talent wins games, but teamwork and intelligence win championships. I’d like to play in at least one All-Star game. –Before playing in the NBA. I never looked at the consequences of missing a big shot. When you think about the consequences you always think of a negative result. I realized that if I was going to achieve anything in life I had to be aggressive. I had to get out there and go for it. If I had been playing for money I would have complained a long time ago that I was underpaid. It’s heavy duty to try to do everything and please everybody. My job was to go out there and play the game of basketball as best I can. People may not agree with that. I can’t live with what everyone’s impression of what I should or what I shouldn’t do. I think he’s God disguised as Michael Jordan. He’s been the greatest player I’ve ever seen. And I’m probably a harsh judge of talent in the sense that I admire players that are really good defensive players and really good offensive players. This is a day that I had hoped would never come. It has to be the toughest day in the history of the Chicago Bulls. It’s a tough day for Chicago. I can’t believe he hit that shot. I don’t know how he stayed in the air that long. I felt that at his time in the game he was the best defensive player in the game, but more importantly he was the best offensive player. And he made his teams win. You don’t hesitate with Michael, or you’ll end up on some poster in a gift shop someplace. 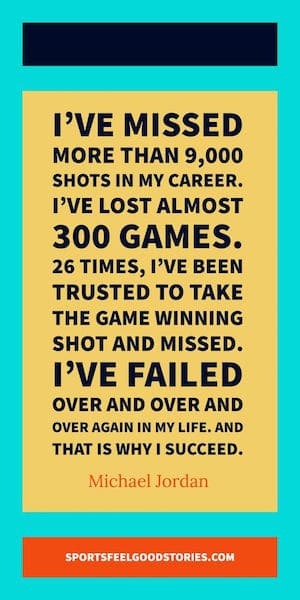 Tip: These Michael Jordan Quotes work well for basketball photo captions, season ending banquets and hoop team websites. Considered by many to be the greatest basketball player of all time in NBA history. Jordan gained fame as a Chicago Bulls star. Currently, he’s the principal owner of the Charlotte Hornets. Jordan was born the fourth of five children in New York City to parents James Jordan and Deloris Jordan. The family moved to North Carolina when Michael was a toddler. Jordan played high school basketball at Emsley A. Laney High School in Wilmington, North Carolina. He played college basketball at the University of North Carolina for legendary coach Dean Smith. After his junior year, in which he won the Woodson College Player of the Year Award, he decided to go pro. He gained fame in college most notably for hitting the winning shot at the 1982 NCAA Championship game against Georgetown (which featured Jordan’s future NBA competitor, Patrick Ewing). MJ was drafted third in the 1984 draft behind Hakeem Olajuwan and Sam Bowie. He was an All-Star game starter in his rookie season. He won five regular season MVPs, six NBA Finals MVPs and three All-Star MVPs. He won an NCAA Championship, an NBA Championship and an Olympic Gold Medal as a player. Only six other players have achieved that feat. An ESPN survey ranked Jordan as the top athlete of the 20th Century in all sports. In the Eastern Conference Finals in 1989, Jordan scored the game winner in the fifth and deciding game over the Cleveland Cavaliers’ Craig Ehlo in what is referred to simply as “the shot.” His career high in scoring came in the 1986-87 season when he averaged 37.1 points per game. Jordan’s Bulls first NBA finals win came at the expense of the Los Angeles Lakers – the Bulls won four games to one. One of the games featured an iconic MJ move when he switched shooting hands to avoid a block by Sam Perkins. Michael Jordan’s teammates with the Bulls included: Scottie Pippen, Horace Grant, Steve Kerr and Bill Cartwright. Jordan returned to basketball after retiring and played a few seasons with the Washington Wizards. Jordan’s success off the court is also extraordinary. His relationship with Nike and the Jordan Brand of shoes and apparel have made him a very rich man. He starred in several commercials, notably with Spike Lee. Jordan has been a spokesman for Nike, Gatorade, Coca-Cola, McDonald’s and others. He also starred in the movie “Space Jam” with Bugs Bunny. Jordan puts on a clinic in many of his games, but his off-court success is also often attempted to be copied by sports greats. Jordan announced his retirement three different times before finally hanging it up. Apparently his “love of the game clause” included in his contract was very real. He starred in the movie “Space Jam” as himself. He owns a basketball team in the NBA – The Charlotte Bobcats. Per Yahoo, he’s the first athlete in history ever to become a billionaire. Rare Air! His Airness played minor league baseball for two years. ESPN named him the greatest North American Athlete of the twentieth century. His middle name is Jeffrey. A pair of Jordan shoes sold for over $70,000 at auction. Michael Jordan has won two Olympic gold medals. He’s won five MVP awards. Although retired as an athlete, Jordan still makes over $100 million per year. 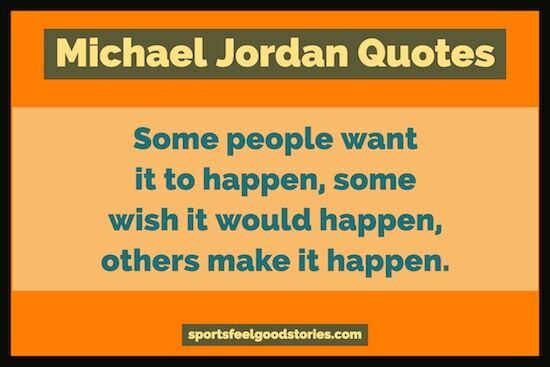 You’re on Michael Jordan quotes – Page 12 of basketball quotations.